Enter to Win Divisional Playoff Poster! If you have already entered our Poster Drawing, then you are already entered to win one of these! 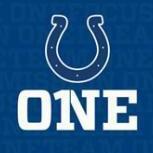 If you are not entered, just go to: http://forums.colts.com/page/Contests/2014%20Posters/main.html On that page, click the link to enter the drawing. Remember you must be logged into the forum to see the drawing page. We'll do the drawing for the posters Friday morning. Good Luck and Go Colts! Wild Card Ticket and Poster Winners! Hurry! Enter to win 2 tickets the playoff game at Lucas Oil Stadium this weekend! Congrats to today's winners! Virtuoso80 won the Texans @ Colts tickets! This was our last drawing for the regular season. Fingers crossed for playoffs! krazydall won the swag drawing! Mystery prize to be sent! the drawing is still open. Enter once for the season and you are automatically entered in every swag drawing this season! Remember, you must be logged in or else you will not be able to see the drawing page. Registration is free. Enter to win two tickets to Texans @ Colts here! http://forums.colts....wings_main.html Remember, you must be logged in or else you will not be able to see the drawing page. Registration is free. Congrats to today's winners George Wilz won the Redskins @ Colts tickets! Coltfan1829 won the drawing! Mystery prize to be sent! the drawing is still open. Enter once for the season and you are automatically entered in every swag drawing this season! Enter to win two tickets to Redskins @ Colts here! http://forums.colts....wings_main.html Remember, you must be logged in or else you will not be able to see the drawing page. Registration is free. Congrats to today's winners godsownColtsfan won the Jaguars @ Colts tickets! jcolt72 won the drawing! Mystery prize to be sent! the drawing is still open. Enter once for the season and you are automatically entered in every swag drawing this season! Enter to win two tickets to Jaguars @ Colts here! http://forums.colts....wings_main.html Remember, you must be logged in or else you will not be able to see the drawing page. Registration is free. Congrats to today's winners CBTerryB won the Patriots @ Colts tickets! Kimber8030 won the drawing! Mystery prize to be sent! the drawing is still open. Enter once for the season and you are automatically entered in every swag drawing this season! Enter to win two tickets to Patriots @ Colts here! http://forums.colts....wings_main.html Remember, you must be logged in or else you will not be able to see the drawing page. Registration is free. Congrats to today's winners Terrij won the Bengals @ Colts tickets! Afoolery won the drawing! Mystery prize to be sent! the drawing is still open. Enter once for the season and you are automatically entered in every swag drawing this season! Drawing for 2 Tickets to Bengals @ Colts Now Open! Home Opener Eagles @ Colts Ticket Drawing Open! Ticket and Poster Winners! Saints Tix Drawing now open! Free Colts Home Game Tickets and bonus Colts Swag drawings! Enter to win! GO COLTS! Post your Message to the Team here! Let's get some COLTSTRONG GOING HERE!!!!!!!!!!!!!!! Congratulations to Ron Townsend! He won the pair of tickets to the Chiefs @ Colts game. Bring us good luck Ron! Enter to Win 2 tickets to Chiefs @ Colts! click here Open to all Coltstrong forum members. Registration is free! Click here to Register! Win 2 Tickets to Jaguars @ Colts! Drawing for 2 Tickets to Texans @ Colts NOW OPEN! Enter to Win 2 tickets to Texans @ Colts! click here Open to all Coltstrong forum members. Registration is free! Click here to Register! Congrats to Drewbacca on winning the Titans tickets! Win 2 Tickets to Titans @ Colts! Enter to Win 2 tickets to Titans @ Colts! click here Open to all Coltstrong forum members. Registration is free! Click here to Register! Congrats to cflanders on winning the Rams tickets! Enter to Win 2 tickets to Rams @ Colts! click here Open to all Coltstrong forum members. Registration is free! Click here to Register! Congrats to ColtsFanmilyMan on winning the Broncos tickets! Want to Go to Broncos at Colts? Enter to Win 2 tickets to Broncos @ Colts! click here Open to all Coltstrong forum members. Registration is free! Click here to Register! Congrats to Andy on winning the Seahawks tickets! Seahawks Tickets UP FOR GRABS! Enter to win 2 Tickets to Dolphins at Colts!